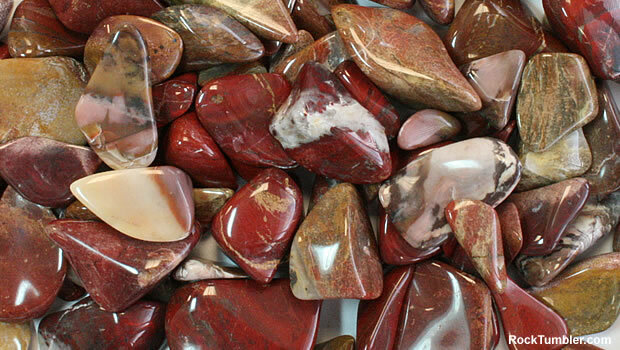 This photo shows some of our rough polychrome jasper. The rough in the photo above is wet to show full color. 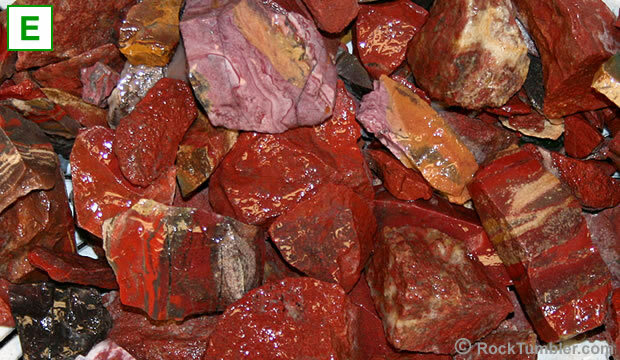 They call this material "polychrome" because it is a rock with many colors. It is mostly reds and pinks, mixed with brown, orange, white, gray and a few tinges of other colors. It takes a great polish and rounds well in a rotary tumbler. This mix was crushed and sized to work great for the beginner. It has a range of particle sizes from approximately 3/8" (9 mm) to 1 1/2"" (38 mm) and should require little to no preparation. We ran straight rough without using any ceramic media. We obtained great polishing results using the inexpensive TXP aluminum oxide polish. We started polishing about four pounds the day it arrived. You can see our polished stones in the photo below and our tumbling procedure is below the photo. 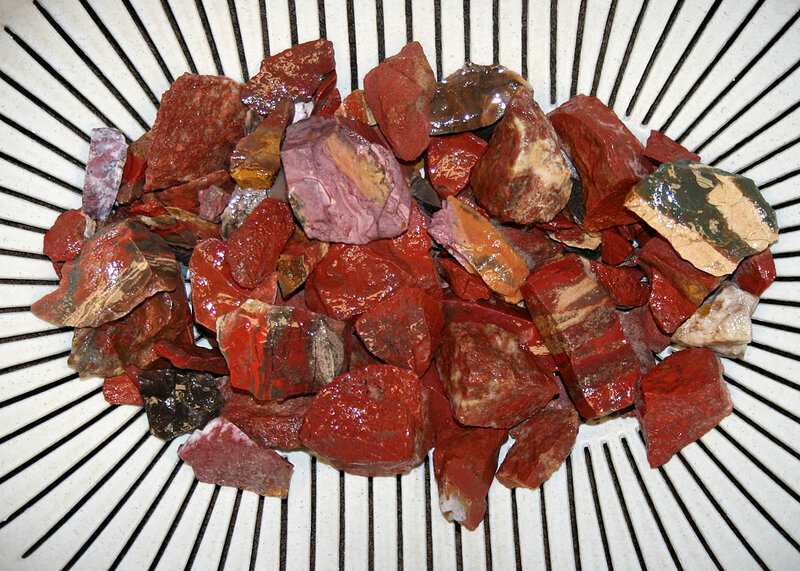 This polychrome jasper has been crushed and sized to perform well in small rotary tumblers such as the Thumler's MP-1, A-R1, and A-R2. The size range gives the material a good tumbling action and eliminates the need for ceramic media. Our EASY Rock Tumbling Recipe works well for rough that has a Mohs hardness of 7 and has been crushed to a variety of particle sizes under about 1 1/2 inches. This photo is of some Polychrome Jasper rough that we polished. Check out the great color and bright polish.